Another page provides details of the location of the cyprus border crossings. This page alerts readers to the problems and dangers in crossing from North Cyprus to the Greek Republic of Cyprus. At some border crossings, especially Metehan at Nicosia, there can be long queues of vehicles crossing to the South. Tourists should be aware that the Greek border gaurds will often wish to open and search every suitcase or bag which is in a vehicle. They will occassionally search the vehicle itself. This scrutiny grew during the bird flu emergency, but the guards are also looking for cigarettes. 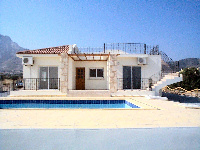 The more serious trend is the search for any documents relating to property in North Cyprus. In addition to Title Deeds, House Plans, Estate Agents brochures and even electricity bills can arouse the interest of the guards. Travellers are routinely taken to South Nicosia Police Station for further questioning. Mr Osman Sarper was arrested by the Greek Cypriot border guards at the Metehan crossing on Tuesday 27 June 2006. The Cyprus Mail reported that he was remanded for 8 eight days after which time he was released pending trial in December. It is claimed that Mr Sarper had 7 box files in the rear of his vehicle relating to property being developed on 'Greek Land' in North Cyprus. Mr Sarper is a senior and well respected architect and has designed a number of leading developments in North Cyprus, including hotels. 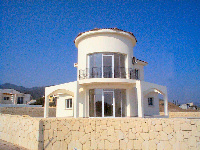 During November 2006, the Greek Cypriot Administration has enacted a law that bans the sale, purchase or construction of any houses on property in Turkish Cyprus that was formerly owned by Greek Cypriots. Greek Cypriot Justice and Public Order Minister Sofoklis Sofokleous said that everyone involved in trading of the houses in question would be followed and put on trial in a Greek Cypriot court. He went on to say that the law would also be binding to Turkish Cypriots who moved to the northern part of island after 1974 when the island was divided and are staying in houses formerly owned by Greek Cypriots. "They will be arrested if they cross to the southern part of the island," he added. According to the law, anyone who buys, sells, builds or live in a house in the properties which belonged to Greek Cypriots will be sentenced to seven years in prison. On Sunday 19th November 2006, a Russian couple was arrested by Greek Cypriot police for five days for allegedly purchasing Greek Cypriot property in "occupied" Lapithos. The couple was remanded by the Nicosia District Court and faces a fine up to a seven-year prison term. These draconian measures can be viewed as part of the Greek response to their failure to enforce a judgement against the Orams in a London Court earlier in the year. The situation is especially dangerous for unsuspecting British tourists who are visiting North Cyprus, but have flown into Laranca due to the lower cost of flights and the greater availability of flights from UK regional airports. They should be extremely careful when packing their suitcases for the return journey home.